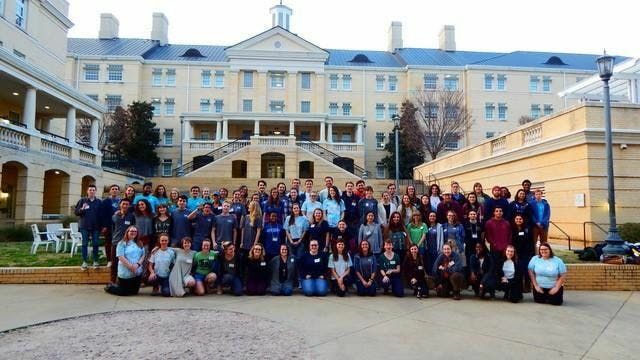 The eighth annual Southeastern EcoReps Conference will bring together student EcoReps and staff advisors from colleges and universities across the southeastern region. Whether you are planning to start an EcoReps or Sustainability program at your university or are looking for new ideas for an already successful program we will have a session for you! This year the conference will have amazing activities and sessions not implemented in the conference before. Join us from March 1-3, 2019 for a fun-filled weekend promoting sustainability, inclusivity, and all-in-all a better environment for us and our future! The registration fee will be announced prior to tickets going on sale. We try to keep the cost per student affordable, but this will depend on the menu selected and the speaking fee of the speaker for the conference. We will provide dinner (Friday night), breakfast, lunch and snacks (Saturday) and breakfast (Sunday). OPTION 1: We will have a hotel block set up prior to tickets going on sale Jan 4th. The hotel will be within walking distance from the conference location. There will be a hyperlink to reserve rooms here after Jan 4th. On February 15, 2019, any remaining rooms in the block will be released to the public for reservations. After that date we cannot guarentee the discounted group rate. OPTION 2: We have a group of students willing to host others at their homes at no cost. Please note, after Feb 15th, we may not be able to guaruntee housing to students. You will be notified by February 8, 2018 if you have been selected to present. Please book your hotel ahead of time and then once notified, please select the correct admission ticket. TBD- Come back soon for more details! Keynote Speaker - TBA December 2018! We are so excited to search for our 2019 speaker!